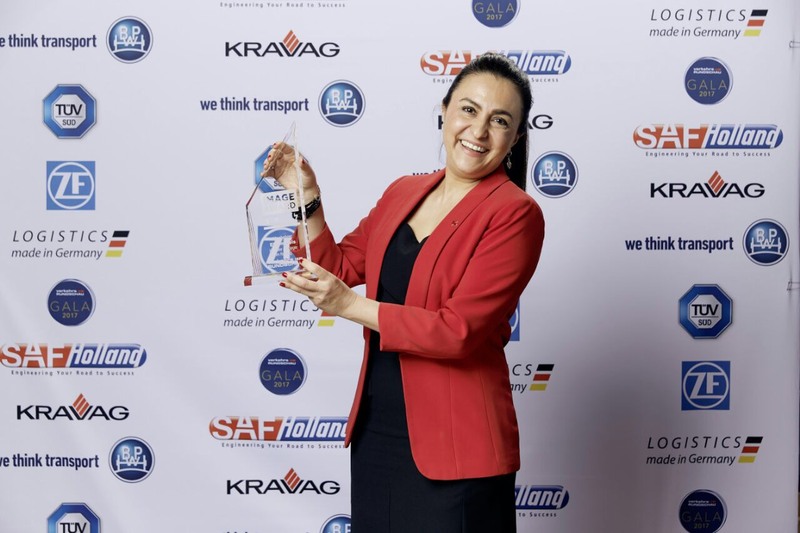 Six months after receiving Trailer Innovation 2017 Award, this honor confirms the reliability and consistency of Kässbohrer’s high-quality trailer production, as well as its commitment to customer satisfaction. Well-known weekly German magazine VerkehrsRundschau conducts an annual survey in partnership with Kleffmann Group, an independent research institute. The institute randomly selects 500 sector-leading managers among German transportation companies, and asks them the performance of their product and service providers in terms of certain criteria such as product quality, customer oriented business model, innovative solutions, and environmental products. Based on the survey results in 2017, Kässbohrer achieved highest increase in image, and won the award within 8 categories. The award was presented by Gerhard Grünig, Editor-in-Chief of VerkehrsRundschau in Munich on February 9th. Kässbohrer was represented at the event by İffet Türken, Board Member Responsible for Business Development, Alper Aydın, Deputy General Manager, and Thomas Purschke, Key Account Manager.